With the news breaking that New York Yankees center fielder, Aaron Hicks, will miss the first series of the regular season with a stiff back, the outfield will need to come together in a different fashion. Hicks, 29, experienced stiffness in his back on March 1st against the Orioles. That’s where the ailment first sprouted, sidelining him for multiple games before the Yanks decided to treat Hicks with a cortisone shot. Now, he will start the season on the injured list. He’s expected to return on April 1st against the Detroit Tigers. Aaron Boone says the Yankees are being aggressive with the treatment of Aaron Hicks’ back (the cortisone shot), but adds they’re acting out of an abundance of caution. Had this injury popped up in the middle of season, Hicks likely plays through it, Boone said. 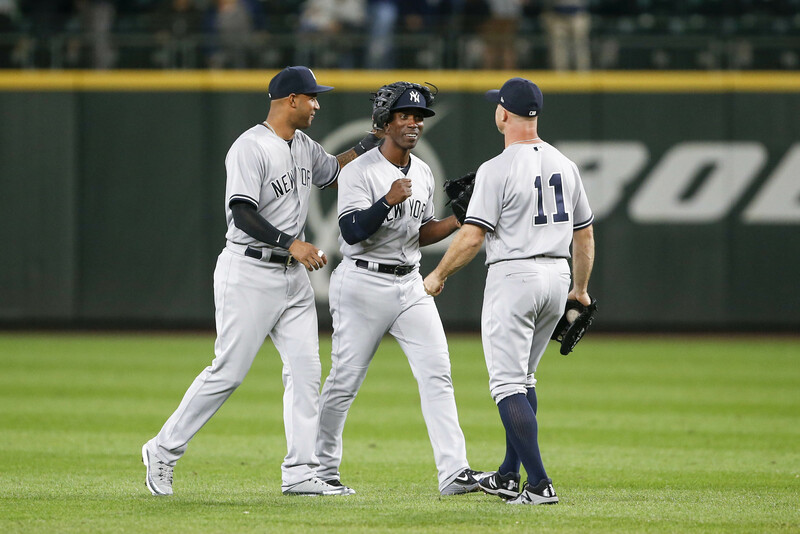 What should the New York Yankees do in the outfield? With Hicks out, Brett Gardner will likely take over in center field while Giancarlo Stanton mans left field and Aaron Judge retains his usual spot in right. Luckily, the Bombers have solid depth at most positions, but so many injuries this early on have put them in an unfortunate position. Starting pitchers Luis Severino and CC Sabathia remain out, Jacoby Ellsbury will need to get his legs amputated soon (joking), and Hicks is sidelined with back issues. Not a fortunate start to Spring for a team looking to contend for a World Series ring in 2019. Establishing a solid foundation of support should be the priority moving forward – rumblings of the Yankees and starting pitcher Gio Gonzalez making contact have reached the surface. New York Giants: Could Sterling Shepard be on the Trading Block?